AcceleRadio was founded in 2009 to develop and market solution for tactical communication. Acceleradio is backed by private investors and private equity fund and was granted by the Israeli Chief Scientist 4 times to date. Our R&D team brings many years of development experience from tier-1 companies such as Galileo-Marvell, Broadcom & Motorola Semiconductors. Our management and advisory board bring many decades of experience in the battlefields and signals corps, management skills and rich experience in the defense industry and management high positions. 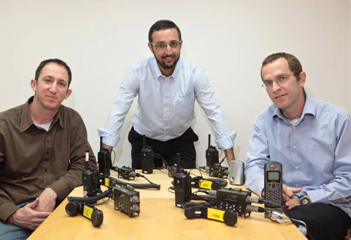 The company has contracted with the IDF to supply 750 C4NET systems. The company successfully participated in the US ARMY AEWE live experiment. The company is now focused on finishing the delivery of C4NET systems to IDF and to initiate contract with US ARMY.